My favorite Ice cream is Strawberry Haägen Dazs. 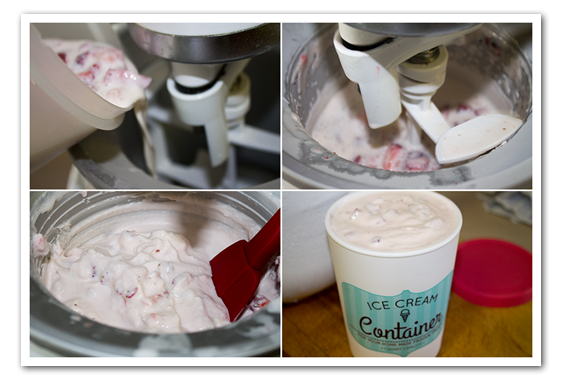 I never knew it would be that easy to make this copy of strawberry Haägen Daz Ice Cream. I was looking at the ice cream box and the only ingredients they use were cream, milk, sugar, strawberries and egg yolk. Just had to figure out how much of each ingredient. I did not use the egg yolk in my opinion there was no need for it. I did added vanilla. 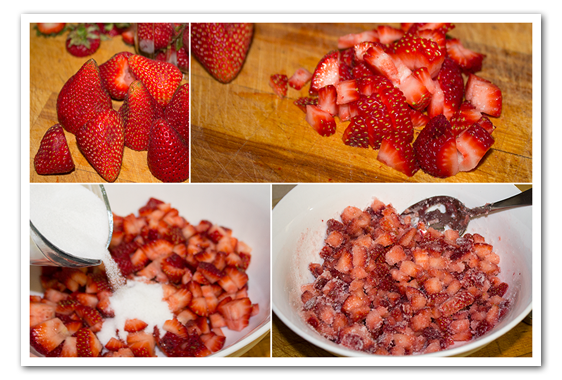 What is very important that you use the sweetest ripe strawberries y0u can buy. A litle bit why the name Haägen Dazs was chosen. Reuben Mattus noticed that the popular ice cream brands of the time sacrificed quality ingredients and manufacturing for a lower price tag. 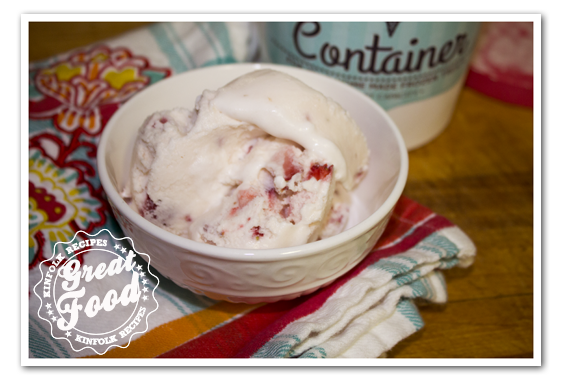 He decided to create an ice cream that would outshine the rest by using quality ingredients, no preservatives and a higher butterfat content – the secret to creamy, rich ice cream. Reuben also insisted, given his and Rose’s Jewish backgrounds, that the product must be certified kosher. Once the ice cream was ready to market, a question arose – what would Rose and Reuben name their new gourmet brand of ice cream? In an interview with Joan Nathan, Reuben explained the Danish-sounding name they settled on: “The only country which saved the Jews during World War II was Denmark, so he put together a totally fictitious Danish name and had it registered. Häagen-Dazs it doesn’t mean anything. [But] it would attract attention, especially with the umlaut.” It is interesting to note that the umlaut is not actually used in Danish – it was simply added because the couple felt it enhanced the brand name’s exotic quality. Reuben and Rose took a gamble in choosing a made-up, foreign-sounding name for their ice cream, but it certainly paid off. Häagen-Dazs originally sold for 75 cents a pint, quite a jump from the standard 52 cents other brands sold for. In the company’s infancy, Rose would visit stores in person to offer free samples of their product. Soon it could be found in gourmet shops throughout Manhattan. The brand eventually spread to grocery stores across the nation. 2. Measure the heavy cream, milk and vanilla add to a pitcher. 3. Turn your kitchenaid machine on (this is important, do not put the liquid into the ice-maker first)and pour the strawberry mixture into the ice-maker. This takes about 15-20 minutes. When the kitchen aid machine starts making a clicking sound the ice cream is done. Put the ice cream into a container and freeze. Measure the heavy cream, milk and vanilla add to a pitcher. 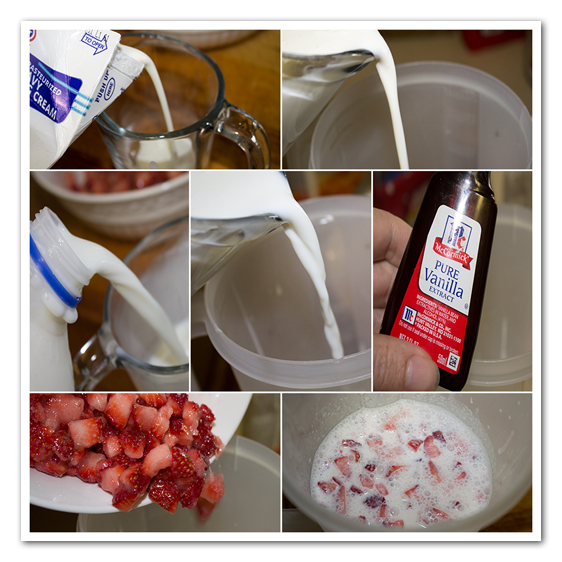 Turn your kitchenaid machine on and pour the strawberry mixture into the ice maker. This takes about 15-20 minutes. When the kitchen aid machine starts making a clicking sound the ice cream is done. Put into a container and freeze. But, but….no egg yolks? How can it be like Haagen Dazs and have the perfectly Haagen Dazssy super-smooth mouth feel without the custard base? Imo the very best homemade ice creams start with a cooked custard, and that’s one reason Haagen Dazs is SUCH a standout! So why leave it out? Makes it a completely different ice-cream – not a copy-cat.. Hmmm..